Perfect! A beautifully constructed home at the end of a peaceful cul-de-sac nestled behind a wooded area and a small pond - privacy at its best with great ambiance by the relaxing sound of the water fountain. The leaded glass front door and side light panels provide a warm welcome to this ideal home. Beautiful Brazilian cherry hardwood floors through most of the main level. The primary staircase has copper hand rubbed newel posts. To the left is a large dining room with triple crown, wood floor, built in china cabinet and grand chandelier. The living room/music room could also serve as an office, and has a wood box ceiling, wood floors, and arched doorways with wonderful wood trim. Off the entry is a half bath with pedestal sink, McVey hand painted walls and wood floor. The fantastic kitchen has a large island with room for 4 bar stools at the breakfast bar, contrasting granite tops, an all stainless steel appliance package, pot filler over range, and the island cabinetry is a dark wood contrast to the light wood cabinets for the kitchen. Large eat-in area with door to the deck and water view. Just off the kitchen is a two story family room with fireplace. 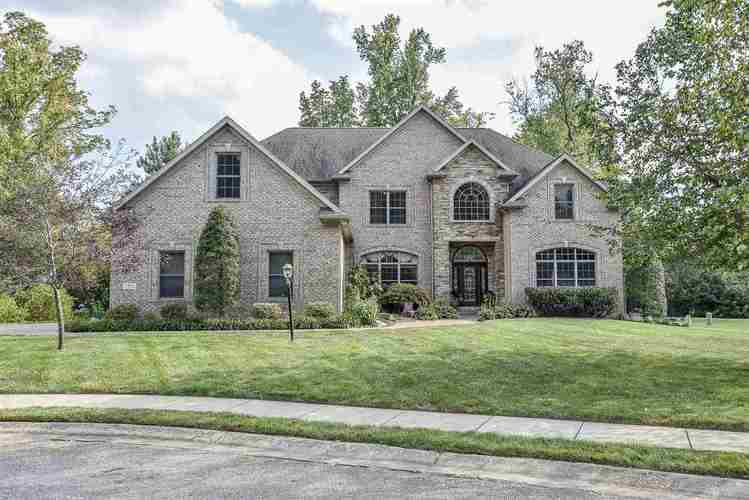 Enjoy a main level master suite with fireplace, sitting room that could be used as an office, and large master bath with two walk-in closets, two vanities, a whirlpool tub, and walk-in tile shower. The secondary bedrooms, along with two bonus rooms and three full baths are located on the second floor. Lots of extra amenities including built-in cubbies, whole house audio, and energy efficient LED bulbs throughout the house. A large fenced backyard is ideal for pets or young children. A great location close to work, school, shopping, and four minutes from Gateway Hospital.